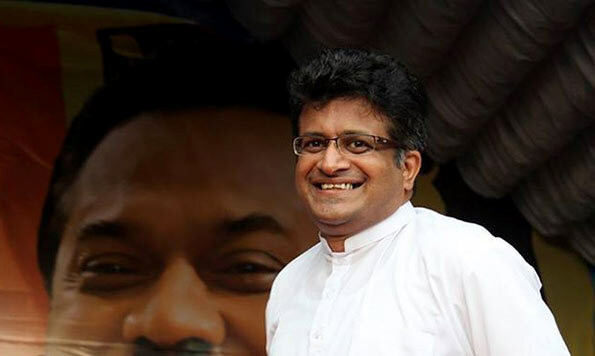 Pivithuru Hela Urumaya (PHU) General Secretary and MP Udaya Gammanpila today criticised the move by India to create a bridge connecting Sri Lanka and charged the link would only work in favour of India ultimately making Sri Lanka another State of India. He said India had requested a loan of USD 5.2 billion from the Asian Development Bank (ADB) for the project but not once mentioned that Sri Lanka too have to share when paying the loan. “This is clear evidence that the project if monopolised by India to solve their issues, to send their people to Sri Lanka. Just like there is a Great Wall to protect China, the Indian Ocean protects our island. If the project went ahead, our sovereignty will be destroyed. President Maithripala Sirisena will end up being a Chief Minister of one of India’s States,” MP Gammanpila told a news briefing. He said that it was not strange to create bridges or tunnels linking countries as there are already such arrangements between France and England as well as between Sweden and Denmark. However, he said if to be linked, two countries should possess similar characteristics. “The unemployed population in India is about 50 million while there are 400 million of poverty stricken people. India has a habit of sending their unemployed people overseas. If their people who are willing to work for less salary than ours arrive here, we will face grave repercussions. National security and economy will be threatened,” he said. In many years ago, Adams bridge was exists (I suppose) with that, Indian prince Rama attacked Lanka and Killed King Ravana. This affected the country as that time Lanka king was one of the superior on the entire world. Now the same bridge area uses to link again towards Sri Lanka, this time for what reason? As all knows, after the war ends Sri Lanka became one of the fastest developing and growing country in the world. Will India like us to stand firm and grab all opportunities? Will US like that a third world country stand firm along with China and Russia help? Our idiotic politicians took the best out of this to derail the economy and stability of the country. I don’t know why people in the country not educated enough to see this. What we gain from having such bridge or link way? Without this bridge are we cornered? Even we share the cost the gain is pain for us. I think only 2-4% of our country people will gain on this, just to bring Indian goods to here. But 40% of Indians gain on this. I hope people should stand against this soon else it will be a historic mistake ever. This dialog should go out, we just deal in the WEB, but none of the news flows to the ordinary people in Sri lanka. I urge all Sri Lankan community to stand against this and carry out campaigns in FB, and all social media to avoid this stupid act. Oh god its because of Politicians like this that we are still a developing nation. a gentleman who should be in a Temple preaching is in parliment what a waste of state resources. You politicians talk nonsense, absolute nonsense. Please spend money on educating the youths, doesn’t matter how much it cost, it is fully worth. Agriculture is also very important, please invest the money and all the energy for the benefit of the country. I am sure the politicians involved in building this bridge have already been paid an advance. This won’t happen. Why to panic.who is having fund allocated for, may be india but obviously not lanka. As present gov has to rebuild the desasters of corruptions done by Mahinda regime rapidly,so gov doesn’t have adequate fund for these kinds of wasteful things as like as mahindas airport in gotta n port.Our community never support any .